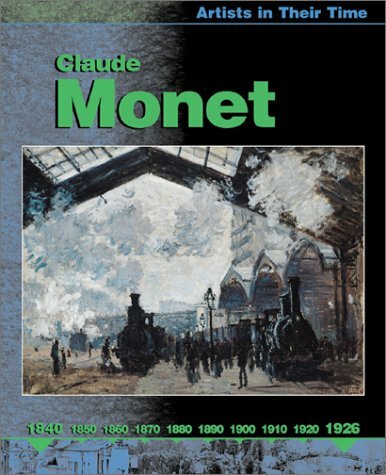 The Artists in Their Time series explores some of the most influential artist of the 20th century.The goal is to discuss the work of each artist in relation to not only their life but also what was happening in the world around them at the time.Here Susie Hodge looks at Claude Monet, one of the greatest artists of all time whose work is so popular it adorns thousands of items from cookie tins and mouse pads to tablecloths.I have also seen some of his famous paintings of water lilies reproduced as wall murals that you can use to decorate your home (and do not think that I have not thought of decorating a master bedroom suite around such a mural, other paintings of Monet, and as close to his particular shade of blue as I can get for painting the walls). 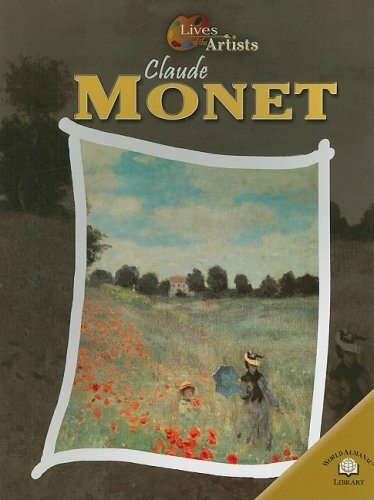 Hodge breaks down Monet's life into a series of distinct periods (e.g, First Success, Monte's Garden), within which she highlights key elements (e.g., money problems, portable paints).Sidebars are devoted to other key points (e.g., Monet's Eyesight, The Influence of Japan).Usually on the bottom left of each two-page spread you will find a Timeline that traces key events in Monet's life (the entire Timeline is repeated in the back of the book).In addition to covering the biographical details of Monet's life, the emphasis is on the evolution of his art and the birth of Impressionism.Since the name of the movement was coined by the critic Louis Leroy in his insulting article "Exhibition of Impressionists" after seeing Monet's "Impression, Sunrise," Monet was going to be an important figure in the history of the Impressionists on that basis alone.But then the rest of his paintings would help make him the paradigmatic Impressionist artist.Certainly he holds that position for me. 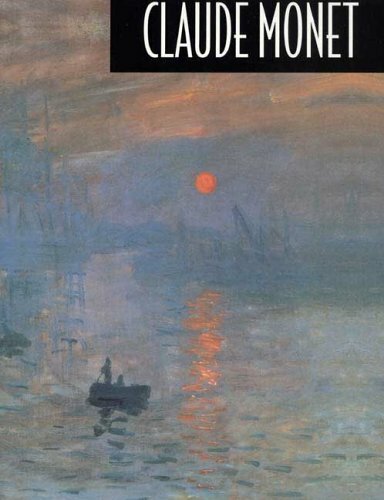 The book is amply illustrated and you have to get to the final pages on Monet's life before you will not find three illustrations on each two-page spread.A dozen of Monet's paintings, including "Impression, Sunrise" and "Interior of the Gare Saint-Lazare," are reproduced on right-hand pages, along with comments on the paintings and often a quote from Monet.Two other Monet paintings are reproduced in smaller fashion and Hodge makes an effort to show the works of artists from whom Monet learned to paint (e.g., Eugene Boudin's "Evening, Le Havre"), those of his friends (e.g., "Self-portrait" by Camille Pissarro), and those who came after him that were inspired by Monet's art (e.g., Vincent van Gogh's "Irises").Other paintings reflect such events as the Franco-Prussian War and Exposition Universelle of 1889.There are also photographs reflecting the times, although the ones that I found most interesting attempted to show what some of the thing Monet painted in his Impressionist works "really" looked like.One of the interesting aspects of the book are the various paintings of Monet himself done by other artists, from Charles-Maire Lhuillier and Edouard Manet to Auguste Renoir, Gustave Caillebotte and John Singer Sargent. I can't say enough good about this series. It is a creative way to introduce kids to these artists.They are written to be kids stories and entertain while throwing in some information about who the artist is, to show the artists' general style and introduce some specific works by the artist.My daughter is 5.She soaks this stuff in.I think she would have been able to be as receptive to the stories at age 4 and maybe just earlier than that but it would have been pushing the envelope.I suspect she will enjoy the stories for another couple years. It has lead us to google some of the actual artists' works.My daughter now wants to find some museums that have some of the pieces that are addressed in the books. 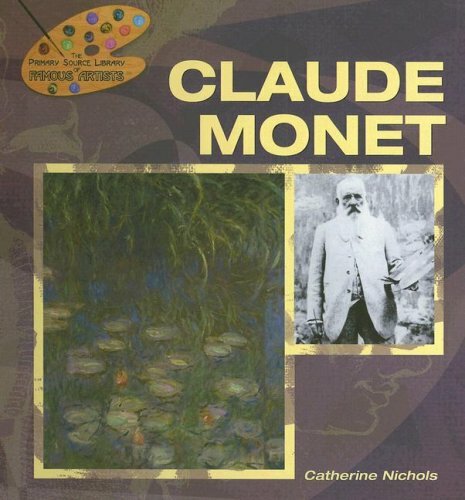 This is a delightful book that even my two year old adores.When she learned that we have a small Monet print, she was enamored.Now she points to the painting every time we get the part where several of his paintings are on display.This is a great book to help build your child's appreciation for art.This book is a treasure and the kind we need to see more often in the genre. 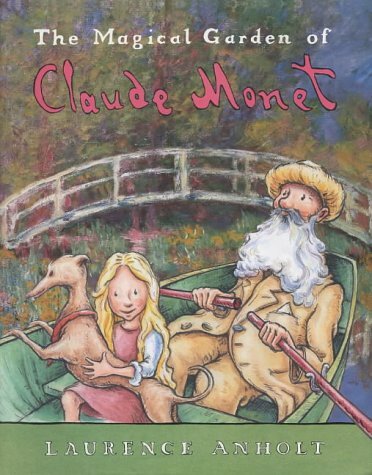 This is a magical book as it not only tells a charming story of a little girl named Julie and her dog Louey discovering the wonders of Claude Monet's garden, but it also contains beautiful renderings of Claude Monet's famous paintings such as those of the water lilies. 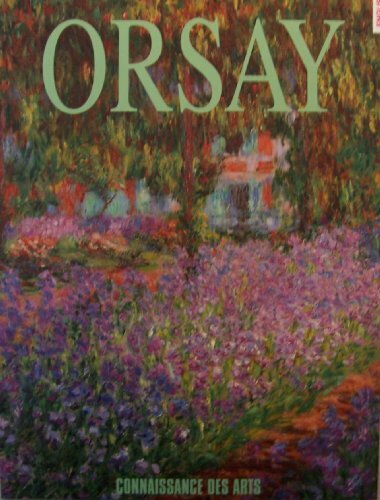 The book is filled with vibrant colors of the French countryside and Monet's garden, and there is a special fold-out section in the middle of the book that opens to reveal a stunning and delightful sight. This is a wonderful way to introduce art appreciation for young children, and is suitable for ages 4-8, perhaps even younger. What a beautifully illustrated book! This was a wonderful book based on a true story. I used it with pre-schoolers and they really enjoyed the story as well as the beautiful artwork. I highly recommend it! Michelangelo (1475-1564) began his work as an apprentice when he was thirteen. At twenty-four, he carved the Pieta which today stands in St. Peter’s in Rome. From 1408 to 1512, he painted the gigantic fresco that covers the ceiling of the Sistine Chapel. Twenty-five years later, from 1536 to 1541, he painted The Last Judgement on the wall behind the high altar. Hailed as the greatest artist of all time by the art historian, Vasari, Michelangelo continues to move and amaze through the tremendous energy and sheer beauty of his work. 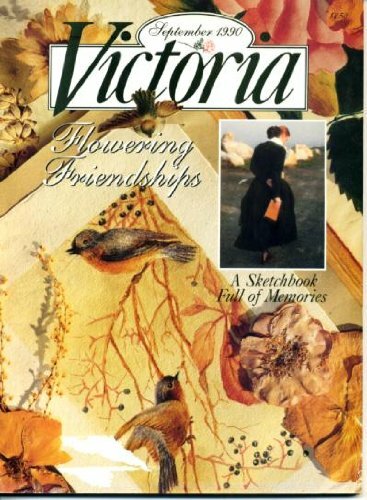 This conveniently sized edition is ideal for the pockets of young students and older art lovers alike. 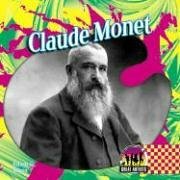 Excellent choice for those who are interested in Monet!!! 18. 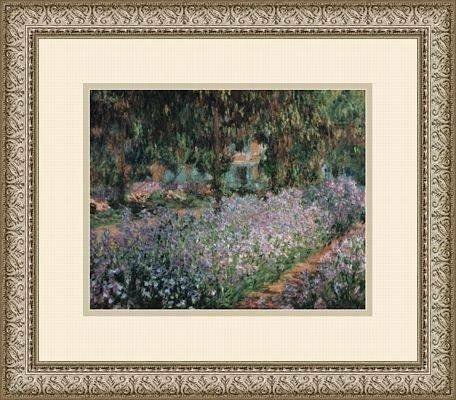 Claude Monet: " the Artist's Garden at Vethueil "
19. Claude Monet: " the Artist's Garden at Vetheuil "